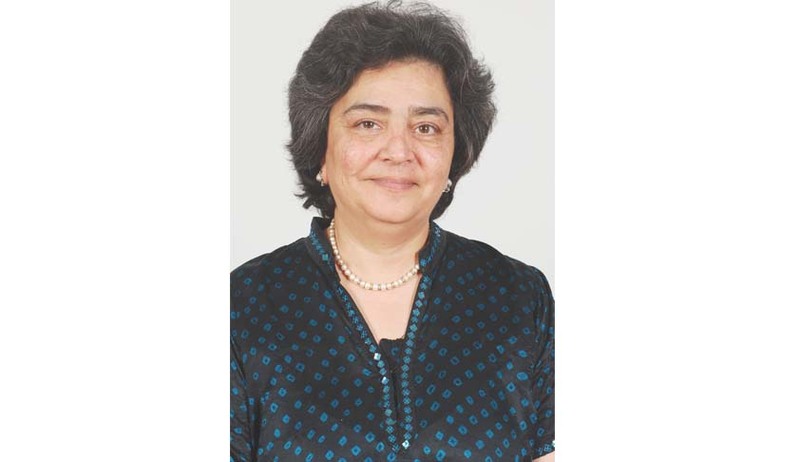 Zia Mody is the Founder and Senior Partner of AZB & Partners and one of India’s foremost corporate attorneys. She passed her law degree from the University of Cambridge in 1978 and obtained her LLM from Harvard Law School. She was admitted as a member of the New York State Bar in 1980. Zia worked as a corporate associate at Baker & McKenzie, New York, for five years before moving to India to set up practice, establishing the Chambers of Zia Mody in 1984, which then became AZB & Partners in 2004. Listed by Forbes Asia as one of ‘Asia’s 50 Power Businesswomen’ (2012), Zia is the recipient of numerous awards and has been awarded the “Business Woman of the Year, 2010” award by the Economic Times. The Economic Times also voted her one of the country’s most powerful CEOs (2004 to 2012) and one of the 15 most powerful Indian women leaders in 2010 to 2012. She has also been selected as one of the 25 most powerful women in business by Business Today in 2004 to 2012. Live Law: Being the daughter of an eminent jurist, was litigation a natural choice for you? Zia Mody: Definitely, being the daughter of Soli Sorabjee, litigation did become a natural choice and almost a default option. Law was often discussed on the dining table and was something that always excited me. Live Law: Please tell us something about your experience as a student in University of Cambridge and Harvard Law School. Why did you choose to return to India? Zia Mody: Both Cambridge and Harvard were fascinating experiences. My mind opened up completely. My ability to analyze was set in place and I made friends and connections that last till today. I came back to India essentially to get married. Live Law: What according to you are the qualities which women lawyers bring to the practice of law, which perhaps, men cannot? Zia Mody: Women lawyers bring a sense of more inclusiveness to the table and we have developed perhaps a higher sense of EQ. There is an ability to better put forward a compromise that we are willing to suggest from a practical point of view to get the deal done without taking hard positions. Live Law: Over the years corporate litigation has seen a sharp surge in India and the stakes are higher than ever before. Did you anticipate the proportions it has taken today? Zia Mody: Given the stressed sense of environment at present in India, it would unfortunately be natural for corporate litigation to drastically increase. The proportion that it has reached today is not surprising. Live Law: Do you think the time has come for commercial/economic Benches in India? Zia Mody: I believe that the Commercial Courts Bill has already recognized the need for such commercial benches to take place in India and specialized courts to be developed. I am in favour of this. Live Law: Arbitration, the long favored mode in settling commercial disputes, is said to have lost its sheen over the last one decade. Your thoughts on this? Zia Mody: I think arbitration has come under quite a cloud because of the delay that domestic arbitration takes to issue a final award and, as far as foreign arbitration is concerned, for a foreign award to be finally enforced in India. But I do believe that the judges are wanting to be less interventionist. This would therefore change more positively in the next five years. Live Law: You have substantial and rich experience in competition matters. Has the evolution of Competition law in India been satisfactory thus far? In particular, going forward how do you think the role of Competition Commission will shape up? Zia Mody: I think Competition Law jurisprudence will develop very well in India. I am happy that with the role the Competitive Commission is currently playing. It is by and large a balanced one. It is also looking at international trends, drawing on international experience, interacting with international agencies and gaining a good sense of credibility. Live Law: A corporate crime which has been in the spotlight in the recent times is that of "Insider Trading". In the Indian context, can we expect to see successful prosecution/final orders vis a vis 'Insider Trading' in the coming years? Zia Mody: Insider trading is the focus of almost every international securities regulator. And rightly so. It is an area which will be aggressively pursued so that its deterrent effect simply prevents such behaviour. In India, with the availability of mobile records, taping conversations and being able to wield more investigative power, I believe that Securities and Exchange Board of India (SEBI) may be able to secure more convictions than before. Live Law: At the moment the market sentiments are at an all time low. How has it affected the risk taking appetite of India Inc.? What will it take to turn the tide? Zia Mody: India Inc. today has comparatively low of energy and is less enthusiastic about reinvestment into the Indian economy. This must change as it is vital for our growth and upward path. I believe that possibly after the next government is formed and it’s ability to make structural reforms is demonstrated, this should turn the tide. My sense is India Inc wants to grow in India, but is psychologically waiting and watching. And even a few low hanging fruits, if captured, will get some bright smiles. Live Law: The new Companies Act is being hailed as historic in as much as it will bring India’s corporate law in tune with the changing business environment of the 21st century. What are some of the critical areas which in your opinion have been adequately addressed in the new legislation? Zia Mody: The new Companies Act has its share of issues and in some areas will create more complications than before. Also, there will be a lot of anomalies which need to be focused as time goes by and the sections and various Rules fall into play. However, the provisions on Corporate Social Responsibility (CSR) and Board representation by women are areas that I am happy with in the new legislation. Live Law: How has the role of corporate law firms, including AZB & Partners, changed/evolved over the last few years? Zia Mody: Law firms including AZB & Partners in a sense have grown with their clients and become gatekeepers of regulatory risk taking in a positive way. The clients now want to understand how much of a grey area they are venturing into and take informed calls. So to that extent, rather than being a pedantic lawyer, we have come to understand more of the business risks that are associated with the client and to feed that into the practical advice we should be giving. Live Law: The legal profession has undergone a metamorphosis over the last two decades. Today, the role of a corporate lawyer is inextricably linked with business negotiations, given the nature of legal advise sought. How easy is it to draw a line between the profession and the business? Zia Mody: I think that it is not necessary to draw a bright line between law and understanding the clients’ business as one often streams into the other. When a client explains the last mile he wants to achieve, we have to understand the structure and the legal issues that will surface and navigate around that carefully.